Last weekend, Todd Phillips shared the first official image of Joaquin Phoenix as Arthur Fleck from the Joker movie. While the image was cool, the actor was not in the iconic clown makeup, which is what many were hoping to see. The director and the studio must have been listening because they have now released the first image of Joaquin Phoenix in full clown makeup and it's awesome. Phillips and Phoenix are going to take the Clown Prince of Crime and give DC fans a unique character study on one of the most iconic villains in history. Warner Bros. and Todd Phillips shared a camera test video of Joaquin Phoenix and his new look for Joker, set to the Guess Who's hit 1969 single "Laughing," which is pretty fitting. Phoenix's Arthur Fleck stands against a backdrop that flashes with video of himself in the clown makeup. As the camera gets closer to the actor's face, he begins to smile and then flashes to a new clip of Phoenix in full makeup, laughing for a moment and abruptly stopping. The clown makeup looks like an older, more traditional style. While the video is short, it's powerful and provides evidence that Joaquin Phoenix is going to deliver his own take on the character in Joker. DC fans hoping for the over-the-top reveal like Jared Leto's version of the villain from Suicide Squad are going to have to look elsewhere. There are no tattoos and silly silver teeth to give off a vibe of edginess. Instead, Phoenix uses his face and body language to show what's going on in the Clown Prince of Crime's head, leaving more of a mysterious mark as opposed to everything all at once. The Joker test footage that the studio and the director released today could end up changing by the time the movie hits theaters. But, it just goes to show how excited everybody is with the project and what Joaquin Phoenix is bringing to the table. It's also possible that Warner Bros. is beating potential leakers to the punch as well. As for taking on the role that so many other actors have done, the actor doesn't seem to care, and instead tries to focus his energy into the creation of the character as opposed to worrying about what fans are going to think of his vision for the character. 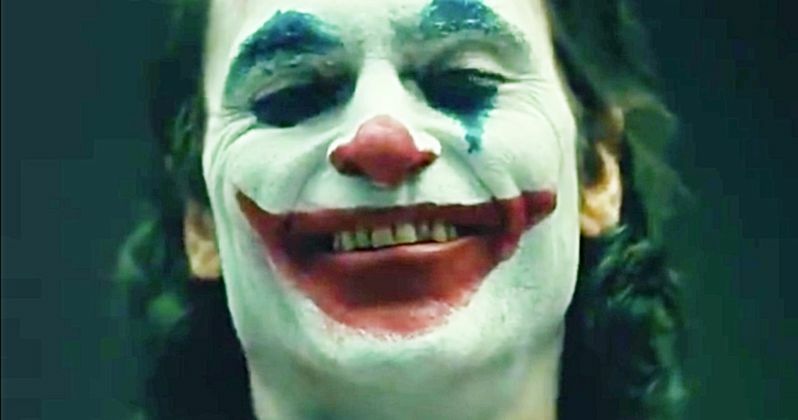 Joker is currently filming in New York City and images from the set have leaked online, but nothing showing Joaquin Phoenix in full clown makeup like the official test footage that was released today. Now that the cat is out of the bag, it's safe to assume that more pictures from the set with Phoenix in full Joker mode will leak in the coming weeks. For now, you can check out the awesome test footage of Phoenix below, thanks to the Warner Bros. Pictures Twitter account. What Does Mark Hamill Think of Joaquin Phoenix in Joker?